Truck & Bus Parts is a leading distributor of HGV, LCV and PSV OE quality spare parts. The company continues to go from strength on the back of representing quality brands, at competitive prices, backed up by high levels of customer service. Managing Director, Ivan Fleming gave CV Workshop Magazine, out now, the guided tour. 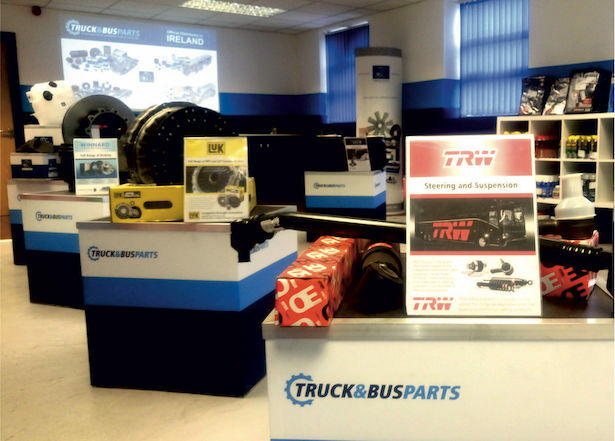 Located on the Longmile Road, adjacent to the Red Cow roundabout in Dublin, Truck & Bus Parts has a fine reputation as being one of the leading distributors of HGV, LCV and PSV parts in the country. The company has built its reputation on having the right part on the shelf, at the right price and offering high levels of customer service. It’s a simple business proposition that has served the company well since its inception in 2010. Owner Ivan Fleming says another cornerstone of the company’s success, is it’s ability to build lasting relationships with its customers. To that end the company has a team of sales representatives that cover the country, keeping in touch with the company’s burgeoning customer base. 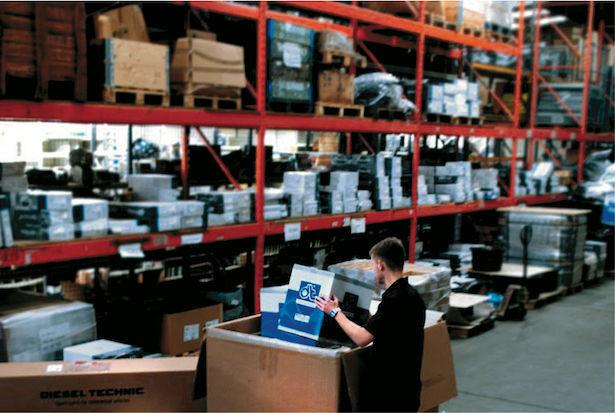 Through regular customer visits Truck & Bus Parts is able to keep its finger on the pulse of business. This customer-focused ethos is also evident with the company’s tele-sales team, which are willing to go the extra mile to meet the individual needs of its customers. All members of staff benefit from high levels of training and technical expertise, and provide full sales and technical support on all part requirements. With a knowledgeable and friendly staff, willing to pull out all of the stops for the customer, it is little wonder that Truck & Bus Parts benefits from strong customer loyalty and significant repeat business. Operating in what is a very competitive market place, Ivan admits that price will always be important in the buying decision, but factors such as product quality, availability and customer service are also key. 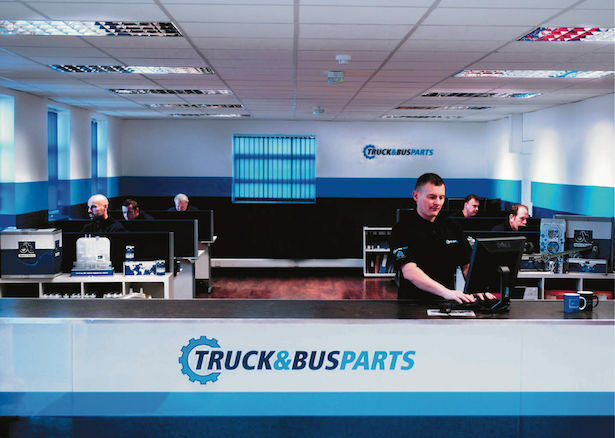 Truck & Bus Parts boasts a fully stocked warehouse and the company’s tele-sales team are on hand six days a week to deal with all parts enquiries. The company also has a busy sales counter, if you are the Dublin area, and want to drop in do your business in person. Truck & Bus Parts sets its stall out to supply a comprehensive range of OE quality products for its wide range of customers in the truck, bus, rail and van sectors. Scania, Volvo, DAF, Renault, Mercedes-Benz, Iveco, MAN, Hino, Mitsubishi, Isuzu and Dennis. Similarly, the company supplies OE quality parts for leading bus brands such as Alexander, Dennis, DAF, EvoBus, MAN, Plaxton, Mercedes-Benz, Neoplan, Scania, VDL and Volvo. It’s van range encompasses OE quality parts for Toyota, Renault, Peugeot, Opel, Nissan, Mercedes-Benz, Iveco, Ford, Fiat and Citroen. Truck & Bus carries an extensive range of OE quality trailer parts for top brands such as BPW, Fruehauf, Hendrickson, Meritor and SAF and its rail range includes OE quality parts for CAF, Rotem and Siemens. The company’s partner suppliers include: Diesel Technic, LUK, TRW, Winnard, FAG, Wabco, Continental VDO, Dinex, Firestone, Textar, Varta, Hengst, Mann Filter, Hella, Sachs, Mekra Lang, Fleetparts, Spal, Grayson, Thornhill, Tribo Rail, Mahle and Kovis. Truck & Bus Parts stocks a full range of Chassis, Steering & Suspension, Body, Axle, Brake, Engine, Gearbox and Electric parts for next day delivery countrywide and same day delivery in Co. Dublin. For more information contact the tele-sales team on 00 353 (1) 4098200 or Email: sales@truckandbusparts.ie. Sales counter and Tele Sales open 08:00-18:00 Monday to Friday and 09:00-13:00 on Saturdays.